THIS EVENT IS IN THE PAST. 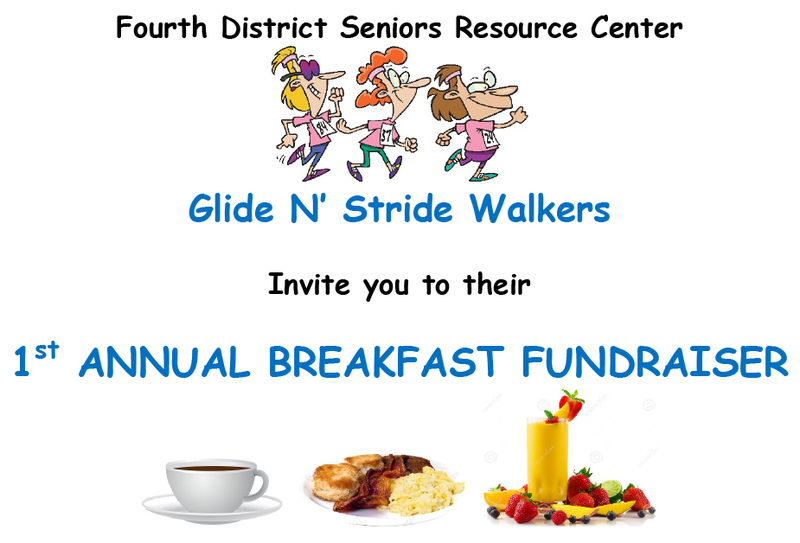 Fourth District Seniors Resource Center Glide ‘n’ Stride Walkers invite you to their BREAKFAST FUNDRAISER. $10 Donation. At George L. Stevens Senior Center, 570 S. 65th St., San Diego, CA. RSVP to (619) 266-2066 by Friday, April 28. All proceeds benefit the FDSRC Glide ‘n’ Stride Walkers Program.